Former army chief General (Retd.) 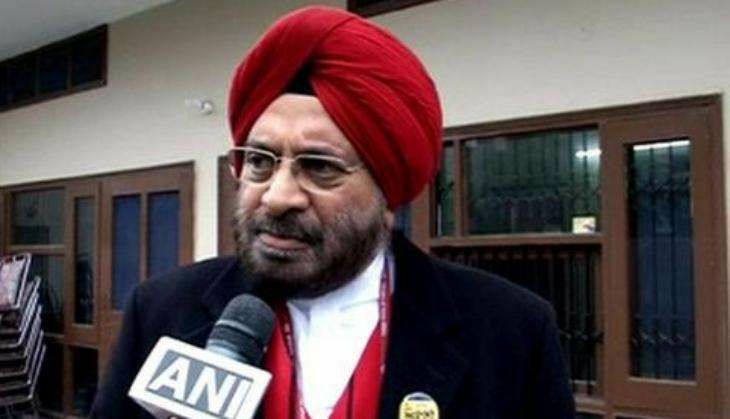 J. J. Singh on Tuesday hit back at Captain Amarinder Singh and said that the Punjab Congress chief has no right to judge a person who has been decorated in every rank. "He has no authority to judge me. I've been decorated in every rank. I think he has no idea, he should read my autobiography. And then he will know what I am talking about," he said. General (Retd.) Singh, who is the Shiromani Akali Dal-BJP candidate for the Punjab Assembly polls, dubbed Captain Amarinder as a 'gumshuda' leader and said his political career is going to end very soon. "A Captain is a Captain and a General is a General, how can he compete and compare with me? I am using the strategy which he cannot match. If he can match, let him come on the ground. l challenge him to come and walk with me," he added. He further said that the Congress leader would lose from both Patiala and Lambi in the assembly polls. "He will get tired. I am working 18 hours a day; he cannot even work more than six hours a day. He needs rest...My roots are here and he says I have nothing to do with Patiala. I think he knows nothing," he said. The former army chief's outburst against the Congress leader came after he described him as an average General. "He was a year junior to me and I know he was a lacklustre and an average General," he said. Assembly elections in the state will be held on 4 February, where the people of Punjab will contest the election for 117 legislative seats.